Today’s information systems design and development activities demand flexibility from supporting arbitrary modeling approaches. Improvements to the business process as a result of the introduction of new technologies and applications requires the adaptation of modeling approaches to accommodate the changing demands of analysis and design. 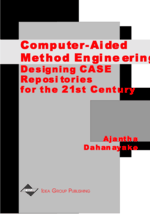 Therefore, this chapter focuses on supporting the new and changing demands in analysis and design of information systems. An understanding of the business process is important in order to design a proper information architecture for the problem at hand, therefore, the modeling of the business process of an organization is the focus of this chapter, to improve the understanding of the problem situation before designing and developing an information system. The problem of analyzing a hotel reservation and reception activities according to the DEMO modeling approach (Dietz, 1996) is presented in this chapter.